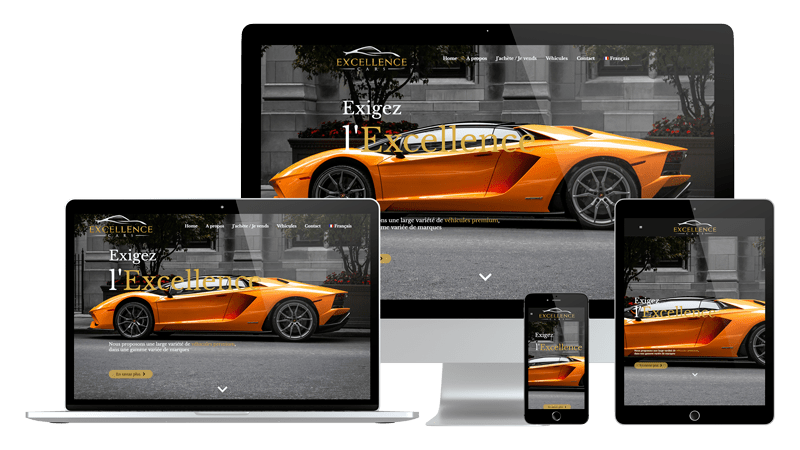 Responsive design website made for the premium cars reseller “Excellence Cars SA”. The website is connected to the Autoscout24 API in order to show the vehicles and let the manager seamlessly manage their vehicles through the Autoscout24 interface. Complex form let end-users formulaire their queries in a practical and stylish way.